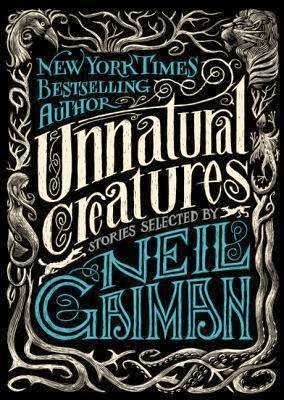 Lately I've been reading Unnatural Creatures, an anthology of sixteen monster stories chosen by Neil Gaiman. All the proceeds from this book go to 826DC, who serve to promote literacy and creative writing in young people throughout the DC area. I seriously recommend this book. 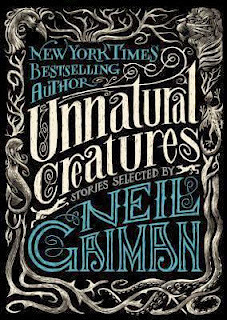 It's certainly a worthy cause, and the stories Gaiman picked are a pleasure to read. They're delightfully whimsical, and they run the gamut from the nineteenth century to the here-and-now. I'm certainly digging it a lot more than the collection he edited with Al Sarrantonio two years ago. Also, groovy jacket design!